Leading Manufacturer of skipping ropes, wooden handle skipping ropes, martial art skipping ropes and adjustable skipping ropes from Jalandhar. 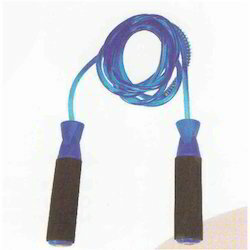 Within the short time period, we are engaged in presenting an excellent grade of Skipping Ropes. At our production unit, the professionals adhere to international industry standards along with keeping a strict check on the rope production. The offered ropes are developed utilizing quality materials and by applying latest technology. Also, quality controllers from our team opt for strict quality inspection. Moreover, clients can get the ropes from us at cost effective rates. 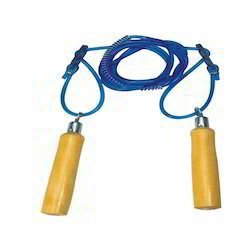 We are successfully ranked amongst the trustworthy entities offering a wide range of Wooden Handle Skipping Ropes. At our production unit, the professionals adhere to international industry standards along with keeping a strict check on the ropes production. The offered ropes are developed utilizing materials and by applying latest technology. Also, quality controllers from our team opt for strict quality inspection. Moreover, clients can get the ropes from us at cost effective rates. 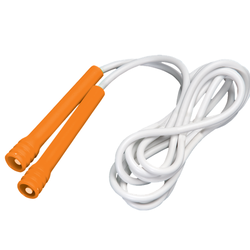 We hold expertise in manufacturing, supplying and exporting a superior quality range of Martial Art Skipping Ropes. Our experts manufacture these ropes using high quality material as per the requirements of clients. Also, its handles are made using best quality material that allow comfortable and stronger grip for its users. We are a trusted name in the domain of manufacturing, supplying and exporting a wide range of Adjustable Skipping Ropes. Our offered product-line is used to keep the body fit and it also increases the stamina of body. These ropes are highly appreciated amongst our customers for their attractive designs and durability. 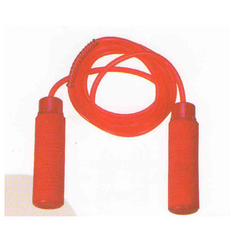 Owing to our expertise in this field, our firm is engaged in supplying an extensive array of Skipping Ropes. 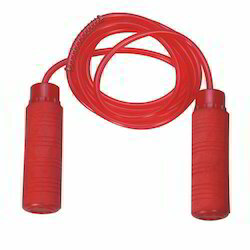 Looking for Skipping Ropes ?